This is a typical day for me. 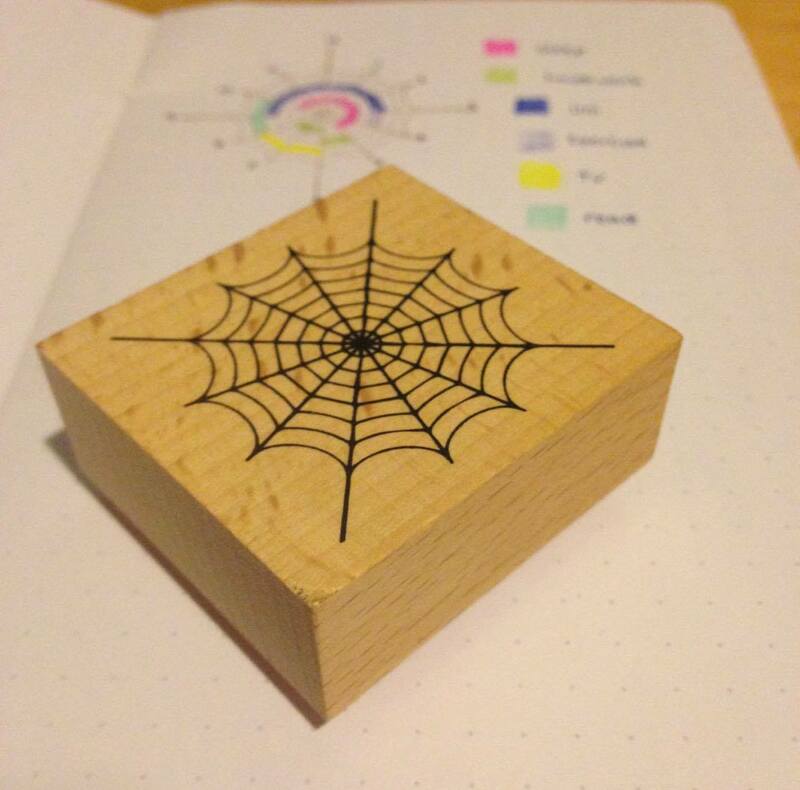 I start at the centre of the web, marking off my sleep (pink), then move out to a new ring with each new activity – time specific. 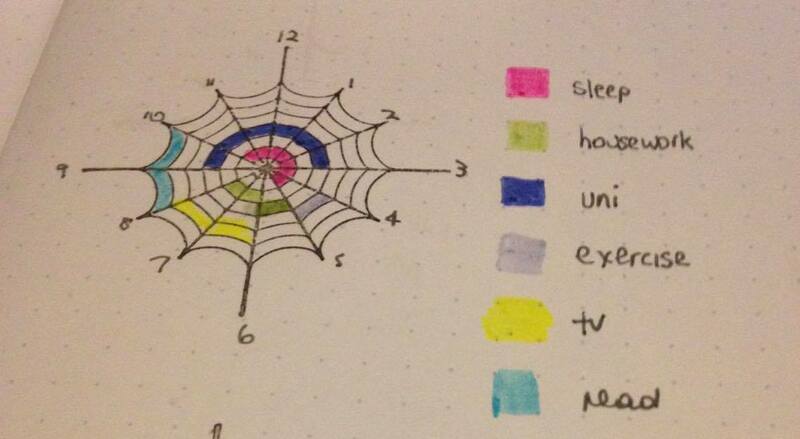 Housework (green), Uni (blue), Exercise (purple), TV (yellow), reading ( light blue). If an activity appears twice in one day, I don’t bother with a new ring, I add it onto the previous ring’s activity. For example I came home from Uni and did an hour of housework (great procrastination tool!). I marked this on the same ring as Uni but in green for housework. Any blank spaces are miscellaneous errands/food preparation, etc., that I don’t track because they are usually random activities that take less than an hour. The possibilities for this system are endless. Track meetings, work, child’s homework, after school activities, sporting activities, leisure, baby sleep patterns, just about anything! You can find more from Sharon on Instagram.